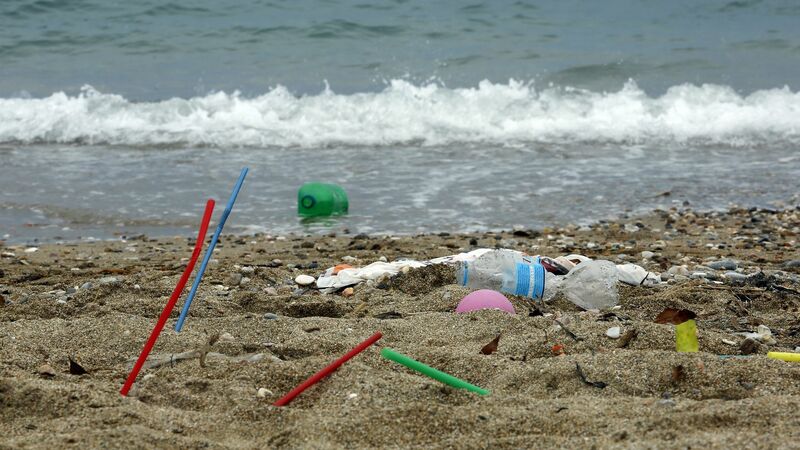 Banning single-use plastic straws is often seen as a quick fix to reduce waste, but for some it isn't such an insignificant loss. Why it matters: Many people with disabilities need straws to consume foods and beverages. With bigger companies and more cities removing access, it adds an additional burden for those who need them to make sure they constantly travel with their own supply or face consequences. The big picture: The city of San Francisco approved a proposal on Tuesday that bans plastic straws and fluorinated chemical-treated takeout containers, joining Seattle as the second major U.S. city to join the fight. Violators could face fines between $100 and $500, depending on number of offenses. The proposal does not explicitly address disability access, but does note that "strict compliance" with the law is not required when it would "interfere with accommodating for any person's medical needs." The dilemma, via NPR: "Paper straws often fall apart too quickly or are easy for people with limited jaw control to bite through. Silicone straws are often not flexible — one of the most important features for people with mobility challenges. Reusable straws need to be washed, which not all people with disabilities can do easily. And metal straws, which conduct heat and cold in addition to being hard and inflexible, can pose a safety risk." Karen Hitselberger, who has a disability, writes in The Washington Post: "[N]o straw means no drink — if I try drinking my tea without a straw, I risk choking or burning myself with the hot liquid. Not willing to take the risk, I offered my tea to my friend, knowing I just couldn’t drink it." Penny Pepper, who has a disability writes for The Guardian: "I know the environmental damage they cause, but I don’t have the luxury of a plastic-free life... I get uncomfortable and angry when I see non-disabled people behave as though they know the answer to this dilemma in exchanges that can get heated, if not abusive." Policy analyst Katherine Carroll is quoted in Time: "The disability community is concerned with the ban because it was implemented without the input of their daily life experience... it seems the blanket bans are not taking into account that they need straws." Disability advocate Jamie Szymkowiak also spoke to Time: "Having our voices not heard is all too familiar. We recognize the environmental concern and we see the impact single-use plastic has on the environment... but a company as big as Starbucks should pay attention to disabled customers’ needs and produce assessable straws." Go deeper: In the vastness that is plastics pollution, straws make up a small share.